It was the first Sunday of Advent and a black day for everyone who cherishes the values of enlightenment. It was unexpected since everyone seemed to be against it: almost all political parties, the national churches, representatives of the economy and many other organizations. 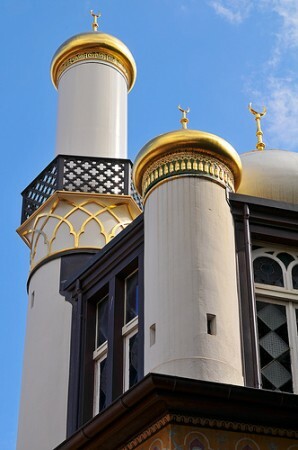 But it happened still: The Swiss banned the construction of minarets in yesterday’s vote. Reactions after the result were impressive. Within minutes I received text messages and Facebook group invitations from all sorts of people. One of the groups is “I am ashamed of the results of the Anti-Minaret initiative!.” When I wanted to invite more friends to join I realized that they were all already there – from the most conservative to the most liberal people I know. We highly recommend the new book on energy security published by Andreas Wenger, Director of the Center for Security Studies (CSS), together with Robert W Orttung and Jeronim Perovic, both visiting scholars at the Center for Security Studies – Energy and the Transformation of International Relations. With energy security at the top of the global agenda, Energy and the Transformation of International Relations examines the development of a new producer-consumer framework. As the era of cheap energy comes to an end, Asia’s demand for energy grows, and concerns over climate change increase, it is clear that the old framework is no longer sustainable in this new era. This book examines the evolving relations between the key producers (Middle East, Russia, Latin America and Africa), traditional consumers (the US and Europe), and new consumers (China and India) as they adjust to the changing marketplace and political realities. At the center of the book is the key question of how dynamics in the global energy market affect the nature of international relations. The authors argue that while conflict over resources is possible, there are many opportunities for international cooperation regarding energy resources. 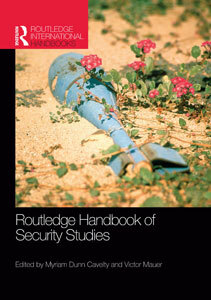 The book can be purchased online. For more information on energy security check out the ISN website. 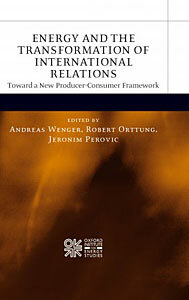 Andreas Wenger, Robert W Orttung, Jeronim Perovic (eds.) (2009), Energy and the Transformation of International Relations. Toward a New Producer-Consumer Framework, Oxford: Oxford University Press. The ISN will attend the Online Information Conference 2009 in London 1-3 December. Consisting of an exhibition hosting over 9,000 visitors from 70 countries, a conference and a show floor seminar program, the event provides an annual meeting place for the global information industry. The ISN will have a stand and our head of OSINT and strategy, Chris Pallaris, will give a talk entitled “The ‘Intelligence Potential’ of Corporate Libraries and Knowledge Repositories,” scheduled in the Libraries and eBooks section for Wednesday, 2 December, 12.45-13.15. Chris will also give a talk on 3 December at the London School of Economics entitled Empires of the Mind: Information, Technology and the Geopolitics of Knowledge. Please see the event listing for more information.